Expats living all over the world, during the holiday season have one thing in common—their adopted countries have Christmas traditions that are likely very different from those back home…if they have Christmas at all. The U.S. and Canadian expats my wife Suzan and I know bring their own personal and cultural Christmas traditions with them to their adopted countries, and they can be very creative and flexible when it comes to celebrating one of the most popular North American holidays while living abroad. I asked four of IL’s correspondents living around the world to share their Christmas plans. Their responses show how creative expats can be…especially when dreaming of a white Christmas in places where snow has likely never have fallen, and the only thing white is the sand on the beach. 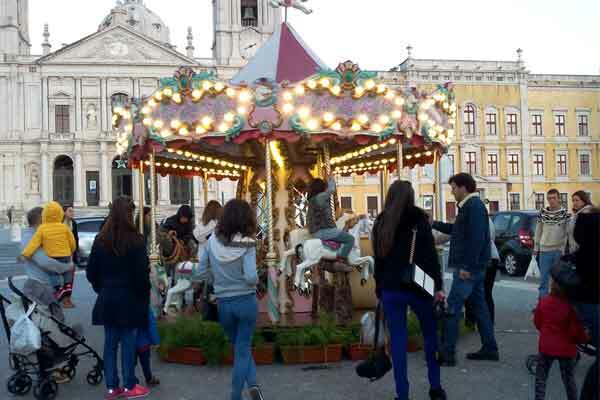 In Mafra, Portugal, Portugal Correspondent Tricia Pimental and her husband, Keith, find the trappings of the Christmas holiday not much different than in the U.S.—except that the season starts on December 8 with the Day of the Immaculate Conception. Tricia says the traditional local holiday foods leave no doubt that they are celebrating a Portuguese-style holiday. IL Riviera Maya Correspondent Don Murray and his wife, Diane, live in Cancun, Mexico. Don says they celebrate Christmas twice…but in a much more relaxed way than the hustle and bustle the holidays used to call for in the U.S.
“We have our first dinner in a nice restaurant on Christmas Eve. Then, Christmas Day is our time for a homemade turkey dinner, calling friends and family on Skype, binge-watching Netflix, and enjoying some wine. Donna Stiteler, Cuenca Correspondent, says that she had almost given up enjoying the Christmas holiday in the U.S., but things changed when she retired to Cuenca, Ecuador, where life has taken a change for the better, thanks to a far lower cost of living. 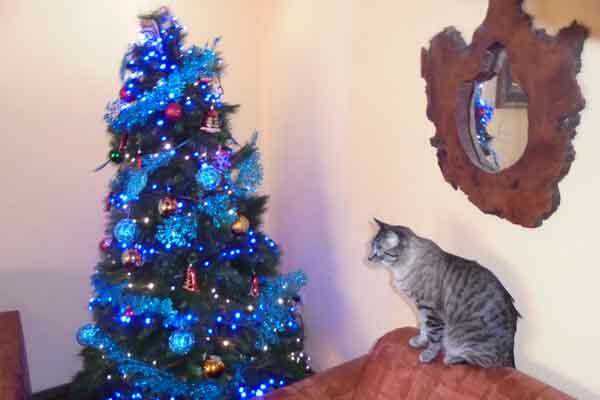 Donna says that she and her cat have reached an agreement about their Christmas tree this year. In Penang Malaysia, IL Southeast Asia Correspondent Kirsten Raccuia says when she moved there she thought she’d never celebrate a U.S. style Christmas again—and she was right about that. Kirsten says the best part of Christmas is that she gets to choose who to spend it with. And so the story goes for most of the expats we know. They’ll be celebrating the Christmas holidays in ways that match their new surroundings and taking advantage of the best features of their adopted countries and cultures. That’s the hallmark of a successful expat—adaptability and creativity. 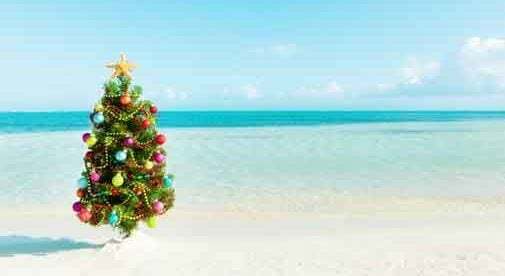 Because no matter where you celebrate, good weather and good friends go together to make a memorable holiday. So, what are Suzan and I doing for Christmas? Well, just as there are many expats who carve out their own Christmas holiday traditions where they live abroad, just as many travel back to the U.S. or Canada. We have a granddaughter who will be celebrating just the third Christmas of her life, and we’ll be there to help her discover her own traditions. We’ll be giving up the warm weather and camaraderie of our adopted Mexican home for a few weeks, but we’ll be making memories we can carry with us when we head back down south.